Branding Archives - The Branding Store | Logo Design, Web Design and E-commerce specialists.| Pembroke Pines, Florida. The post Attention to Branding: 20 Websites with Beautiful Logotypes appeared first on Onextrapixel – Web Design and Development Online Magazine. In the World of WebGL, brilliant HTML5 experiments, fancy animations and holistic user experience, sometimes we forget about the small static elements of design. They are the most vital and fundamental details that represent personality and individuality. Today we are talking about brand identity and its crucial constituent – logotype. It can be a purely graphic realization, type-based emblem or both – the most important is that it should provide an instant public recognition for your company, uniquely identifying and separating it from others. It is vital for your business, so that when you create a website for your agency, restaurant or local firm it should have a high priority. In today’s collection, we will consider twenty great examples of sites where logotypes stand the competition and bring benefits for the whole aesthetic. With its majestic and exquisite logotype, the Iron Gates and Railings Specialists demonstrates that it is a part of the country with a royal family. It goes perfectly well with the header background made in the same theme and modest yet elegant color palette. Highlights Conference has an attractive logo that is a visual representation of the name of the project. It is a simple take on portraying the ‘highlights’. It ideally blends in and skillfully finishes off the environment. Although the website is based on a lavish cartoonish composition that establishes a pretty friendly atmosphere right away, however, the team has opted for less fantasy logotype, using a combination of several fonts that nicely play together and a small touch in a form of origami paper plane that links everything together. As is always the case, here the logotype impersonates and pictures the name of the restaurant and company. It is made as a classic badge with a mixture of typefaces and a beautiful vector illustration of a fish set in the heart of the composition. Using origami style elements in the interface is a simple way to give ordinary objects an interesting twist. Here the paper bird is used for several purposes: as a logotype and as a decorative detail in the slider. Although the official page of the Museum of London slightly breathes with snobbery, nevertheless its logotype tells us that it has something to offer, and you should be prepared for some fun. It is bright, energetic and entirely positive. The front page of Oskar Blues Brewery can boast of great work with the fonts since the type-based centerpiece placed in the heart of the screen is a masterpiece. The logotype made in a whimsical typeface corresponds to the general mood and serves as a subtle focal anchor. Although it is not the first thing that draws the attention, it is still an eye-catcher. Blind Enthusiasm heavily relies on the typography that seizes the entire homepage. It simply bombards online visitors. Surprisingly, the tiny circular logotype that is located in the middle of this chaos easily grabs the attention with its sophisticated design that strongly resembles an emblem of the Sun with encrusted Egyptian motifs. Much like the design of the website, the logotype reflects the passion for the tech industry and at the same time conveys the cheerful atmosphere inherent to the content. Clever Solution has a plain, straightforward and tasteless logotype, but it skillfully translates the name of the agency into neat and sleek illustration. As befits, it is a symbiosis of the font and vector drawing – together they express the meaning of the title. The team has incorporated an Italian flavor in every aspect of this design, and the logotype is no exception. Elegant curves of letterforms paired with a gentle palette and line art make it an appropriate decorative finishing touch for the yummy restaurant aesthetics. The project intends to raise awareness about pretty serious issues; so predictably, the logotype looks weighty and austere. It is an harmonious, well-balanced mixture of typography and vector illustration of a pile of books that symbolizes belonging to the education system. Studio Spoon has a minimalistic landing page with a considerable amount of fresh air and limited color palette. The logotype occupies here a central position not only because of its position but also because of the absence of extra content. It is exquisite, smart and polished. The team tries to achieve a businesslike air in an unexpected way: using a fully illustrated environment, flat icons, and gorgeous coloring. And they have succeeded: the interface exudes images of the serious company with creative thinking. The logotype here is an integral element of the composition. The team behind the Gathering demonstrates that unique customized typography can inject life and soul into any primitive lettering. Here the bright logotype with a powerful geometric feeling sets the tone for the project and makes the website a winner in our eyes. Animal Pak has a brutal grunge styled logotype that does its job perfectly well. With just one glance it becomes apparent that the project is related to something masculine, bold and powerful, naturally appealing to the targeted audience. The Huub has an unmistakable techno style that is professionally executed. The logotype has a digital and somewhat futuristic vibe that expresses the spirit of the platform. It is simple but at the same time elegant and smart. Here the logotype is an integral part of brand identity that makes for a nice atmospheric touch. It echoes with the illustration on the homepage as well as fits to the language of the website. The website features a kind of logo that is commonly used nowadays: an elaborate mixture of several typefaces that form the badge with a natural and exquisite look. It is set in the middle of the page, breaking the navigation into two parts and at the same time striking the eye with its refined appearance. The beauty of this logotype does not lie in its lavish or intricate appearance; it lies in its ability to make the homepage feel complete and harmonious, adding a subtle sense of the boxy vibe. You do not need to be lush and opulent to catch the attention; sometimes clever realization is everything you may require. As a rule we do not focus our attention on the logo when we stumble upon a website with the desired information; however, when created with soul and heart it becomes that tiny, unobtrusive detail that makes the whole difference. When you prototype a site, do you use the logo as a starting point for your design? Does it affect your choice of colors, fonts and/or layout? Are you passionate about crafting and designing websites? Perhaps you have been honing this skill for years, and you are yearning to make this your full-time source of income. Being a website builder is an excellent career choice, yet it can be daunting to get yourself out there and amass a loyal client base. So try using these tips and looking to reputable resources, such as webbuildersguide.com for more insight into using your natural gifts and abilities to help others achieve their digital marketing goals. Nowadays, many people are scurrying to get into the web design industry, and that means there is bound to be more competition than ever before. This doesn’t have to be your downfall, so long as you keep your focus and streamline your priorities. One of the first things to do is figure out what your specific niche is. Web design can be applied to just about any field or area, which is why tailoring your skills and outreach will help you gain a more solid following. Some people choose to work in the real estate business, while others go for travel companies or the education field. Other choices include medical industries, tech start-ups, or the entertainment business. As you can see, there are loads of options, so you’ll want to determine what you’re most passionate about and focus on that. The next thing to do is sharpen your skills set and show the world what you can do. Sure, it’s easier said than done, but that doesn’t mean that it is impossible. Don’t be afraid to have confidence in yourself, and put your energies into analyzing your strengths and weaknesses. What are you particularly good at? If you have a gift for user experience, then play up that strength. Maybe you need to work on cleaning up your user interfaces. Perhaps app design is where you truly shine. Whatever it is, having a thorough knowledge of what you’re most talented in is going to help you describe your skills to employers and potential clients. It will also let you know where you can afford to work a little bit harder to improve. Going along the same lines, you want to actually show something for all of your efforts. Since we’re talking about building websites, the best thing you can do to engage and interest consumers is actually build websites, even if they’re just for yourself. You can always amass an impressive portfolio with all of the clean and modern designs you have created. Of course, if you have worked with other clients or businesses in the past, be sure to include that work in your portfolio as well. When potential customers contact you, it is imperative that you have a body of work to show examples. That way, customers know exactly what you can do and they can see it for themselves. Here we have just one word: branding. After all, a website is basically the digital maven of branding and marketing. You need to get your name noticed, and there are several ways to do that. First of all, you can take note of the web designers and companies that you admire. Pay attention to their skills and business practices. Maybe try to contact them and work on a collaborative project. Secondly, determine what makes you stand out from the crowd. Do you have a signature style or a different way of perceiving things? Play that up! You’ll also need a personal (yet professional) bio, along with a concise and accurate tagline. Make some business cards and clean up your professional website. You’ll get there in no time! No one said that branding yourself as a website builder was a piece of cake. It takes time, energy, and extreme focus. The good news is that there are helpful resources out there, and collaboration can be a wonderful thing. So get started with your strategy and get inspiration from webbuildersguide.com and others to propel you forward. Joining in the conversation and putting yourself out there requires some risk, the right motivation, and a bit of luck. Hello, friends. Below is a collected roundup of free branding mockups and templates, full of different categories and styles. They all come in several formats such as PSD, AI, ID and their styles goes from photorealistic to minimalistic and fashionable. All of them were curated recently and they are ready to download. Remember to share with your friends! One absolutely huge template source offering 12 categories including business cards, logo sets, curriculum vitae templates and many more. All of them related stationery considering that one style spans most of the categories for identity consistency. Enjoy and download! 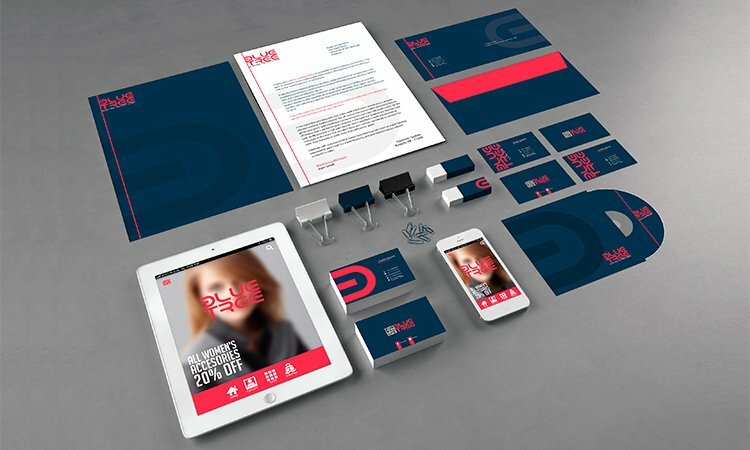 This Branding identity set has four templates included: tri-fold, invoice, letter and business card, all in a cohesive style that can be used as a base for your own projects. This set is perfect for new projects that want to attract more clients. 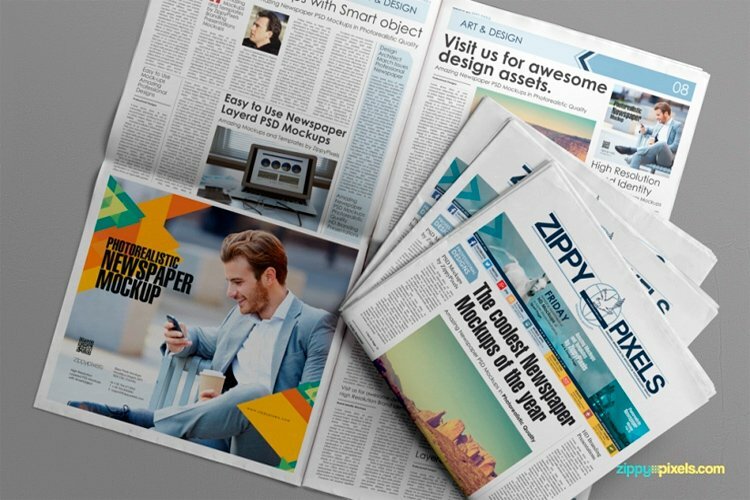 Although, its not entirely a mockup set it contains PSD editable files, free for personal and commercial projects. 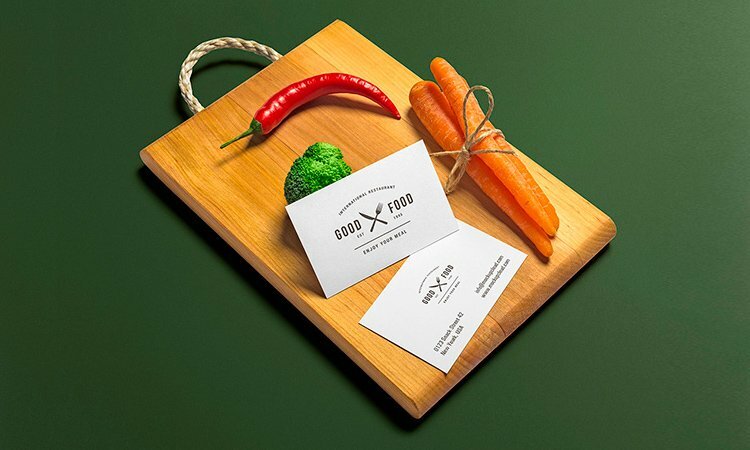 This is a rocking couple of mockups for restaurants and food services related businesses displaying not only business cards but notebooks. 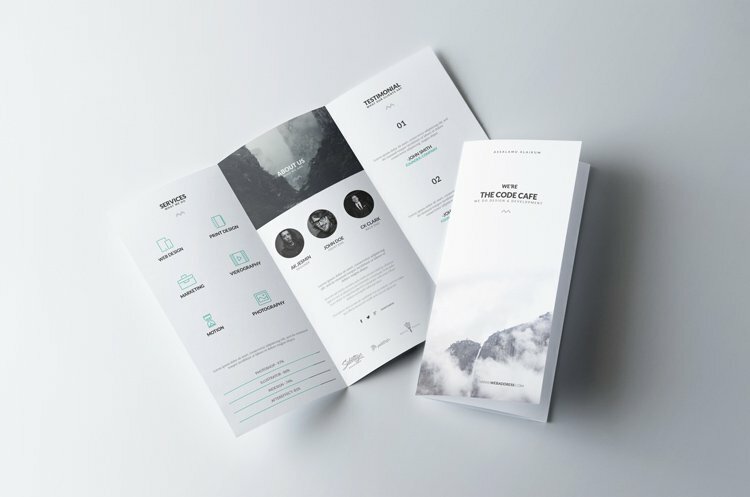 This mockup contains envelopes and menus for the perfect scenario. Show your good taste using the provided PSD files. 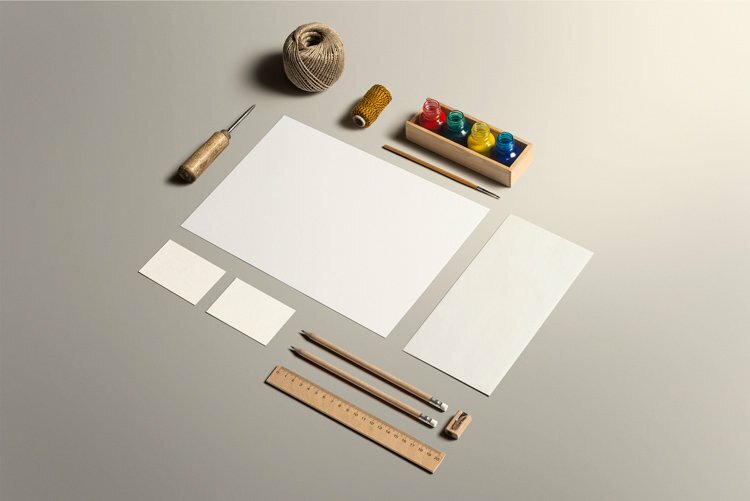 An inspiring free stationery mockup for arts and crafts. In this artsy scene there’s a sheet of paper at your imagination’s disposal. 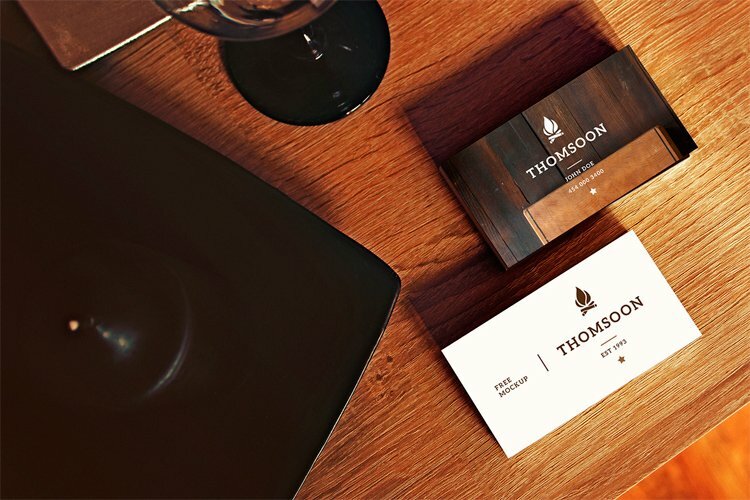 Business cards and an envelope are also part of this mockup. Easily place your designs with the smart objects included in the PSD file. 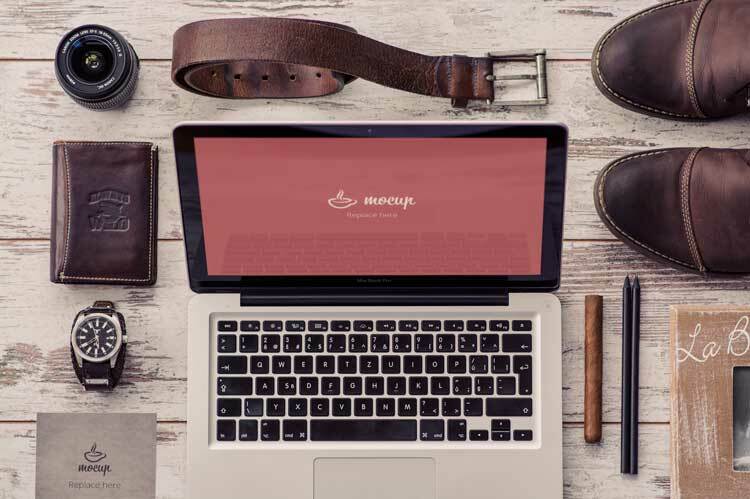 Organized for you to enjoy the magic of this free mockup. For personal and commercial use. 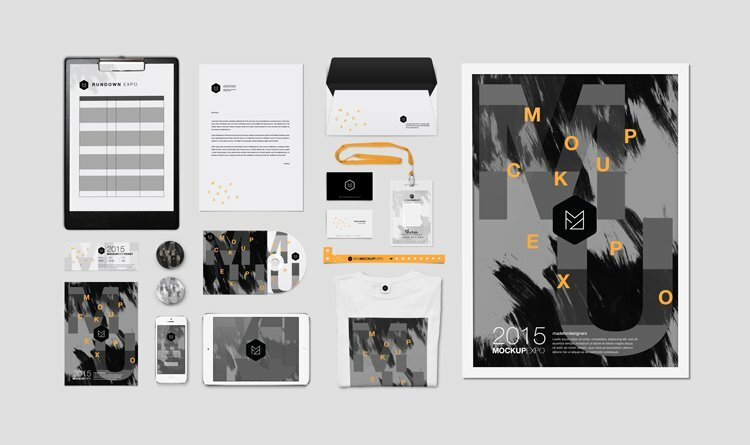 A very complete and simple mockup kit in a single PSD file containing letterhead, folder, business cards, envelope, notebook, pencils and even a cd. It is a very useful tool but lacks important things like smart objects to make the work a little easier. 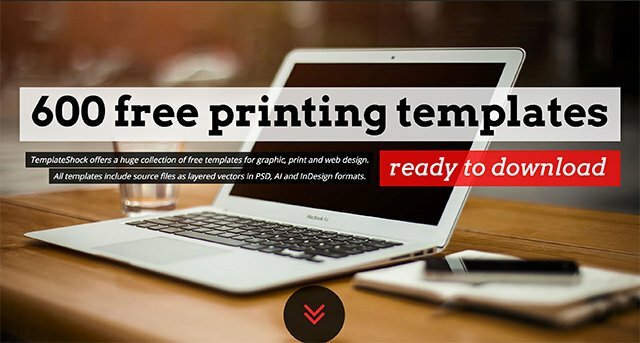 One single psd file & totally free. 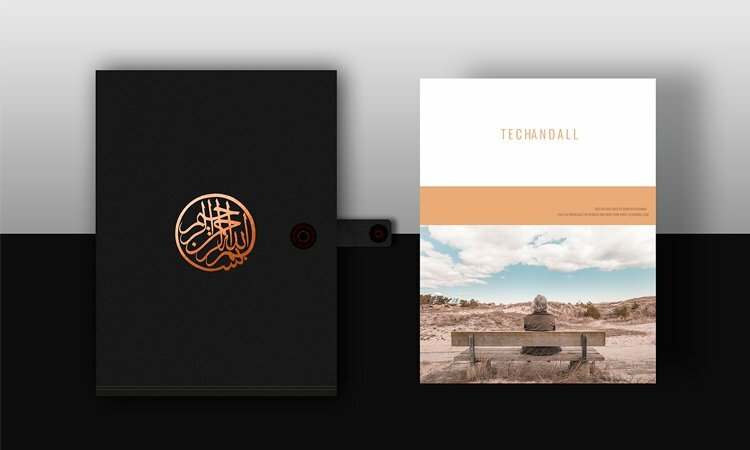 A quite interesting dark mockup for stationery and branding, it includes a business card, folder, letterhead and a cd with its cover, plus some office supplies for ambience. Use the PSD file as templates or just a mockup for free. For personal or commercial use. 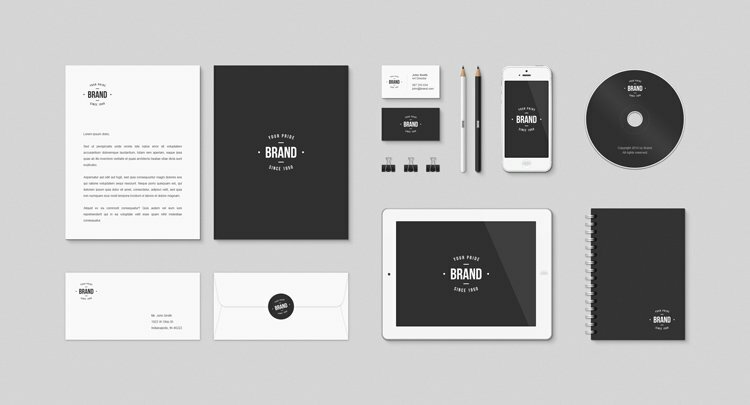 Templates of stationery and branding pieces, covering all the must-haves, including an iOS app icon. All of them are CMYK and full resolution PSD print-ready files, except for the iOS icon. They are totally free for both personal and commercial projects. 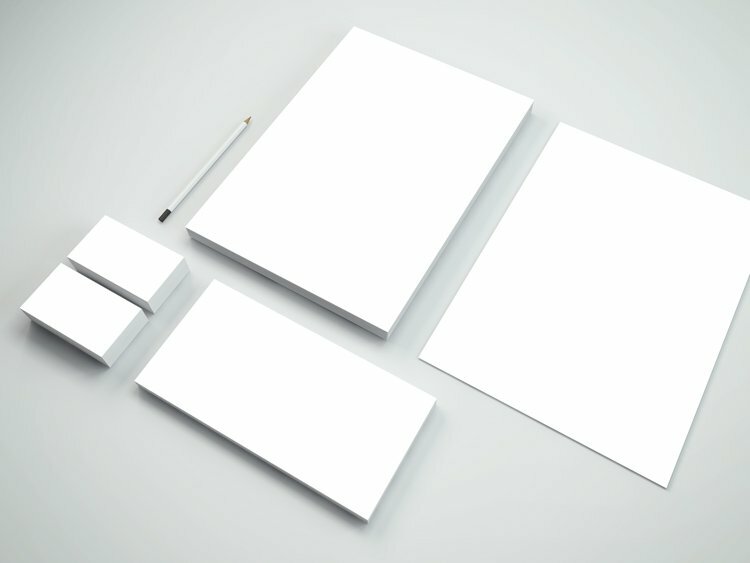 This pack of mockups includes four different layouts of letterhead, booklet, folder and business cards (combined). Each one of them in a different PSD files, plus a proposed background which you have to place it manually. The files are released freely for personal and commercial use. This awesome kit has every possible item you might need for an event including wristband, ID card and t-shirt. All the items are perfectly organized and the layers properly labeled inside a PSD that works with smart objects. Free for personal or commercial purposes. 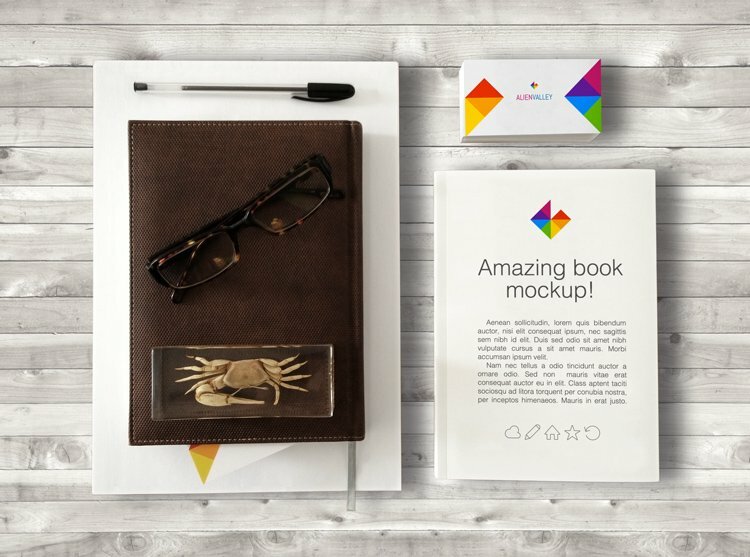 One interesting and certainly different mockup scene with a book and a business card on a wooden surface. It presents a clean scene despite the other items in the background. Have fun with the PSD file delivered for free. Personal use only. Three interesting fashionable mockups with Apple products. Designed with a hipster style this mockup has a business card in a scene full of details, including a camera lens and a cigar. Use the PSD smart objects to put your designs in this eye-catching scenes. This collection comes for personal or commercial projects. 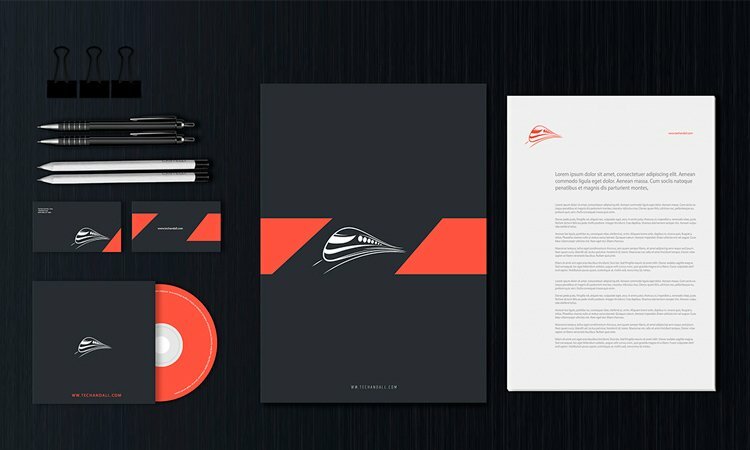 One mockup scene containing a letterhead, cover, business card and envelope to portray a company’s main identity elements in a very clean way. Editable through smart objects in a Photoshop PSD file. Free for both personal and commercial use. A set of nine very appealing and elegant business card and tablet mockups with eye-catching camera angles and beautiful wooden surfaces. The files are in high resolution and free for both personal and commercial use. 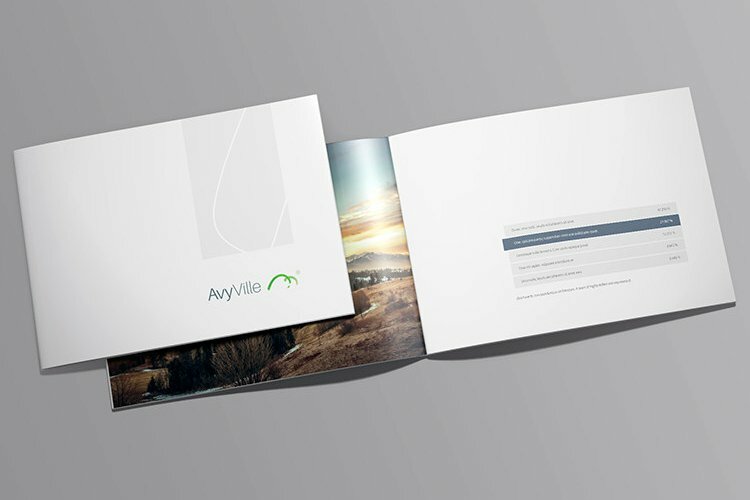 A very complete and thoroughly organized mockup for a landscape oriented brochure. This pack contains 14 angles, portraying front, back and inner pages, allowing lighting adjustments for each shading effect independently. Made with smart objects for easy edit. Enjoy this beautiful PSD file that’s available for free for personal and commercial projects.